The Indian army is equipped with a large number of vehicles produced in Russia as well as domestically-manufactured vehicles, constructed using Russian technology. Sergey Goreslavsky, the Russian state arms exporter Rosoboronexport’s deputy director said that the India army is equipped with a large number of vehicles produced in Russia as well as domestically-manufactured vehicles, constructed using Russian technology. 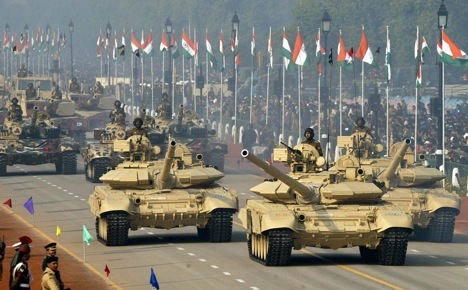 Russia has supplied India with more than $65 billion worth of military vehicles since 1960, the Russian state arms exporter Rosoboronexport’s deputy director told Sputnik at the Army-2016 military forum near Moscow on Tuesday. “Over the past years we have signed over $65 billion worth of contracts,” Sergey Goreslavsky said. He noted that the Indian army is equipped with a large number of vehicles produced in Russia as well as domestically-manufactured vehicles, constructed using Russian technology. “We have experience in transferring modern technologies to our Indian partners and we are ready to develop this experience, including creating joint ventures and organizing joint production,” Goreslavsky said. The Army-2016 forum organized by the Russian Defence Ministry kicked off earlier in the day and will last through Sunday. The forum is held in the military-themed Patriot Park in Kubinka near Moscow and in a number of locations in Russian military districts.